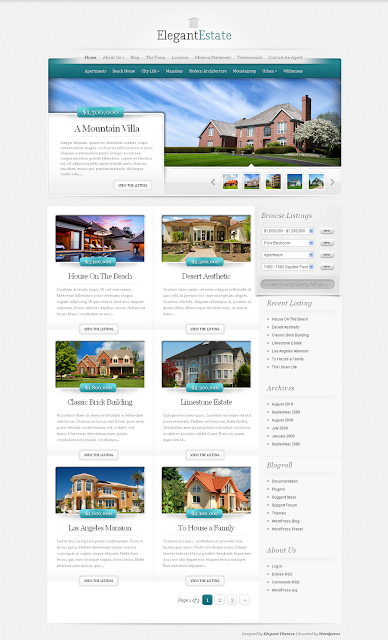 ElegantEstate is a wordpress theme created by ElegantThemes that turns your WordPress blog into a full-feature real estate website. The theme makes browsing your listings easy, and adds special integration features for property info, photos, Google Maps and more. Help increase sales by establishing an elegant and professional online presence today. 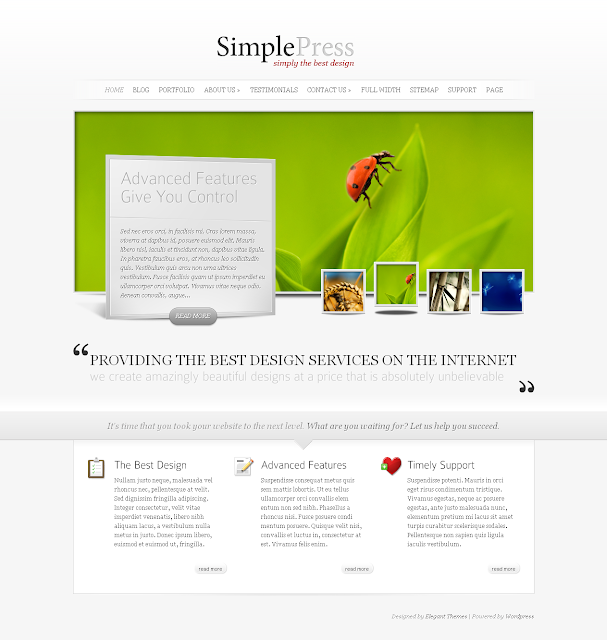 SimplePress is a slick new page-based theme designed by ElegantThemes, great for anyone looking to give their website a clean and professional look.